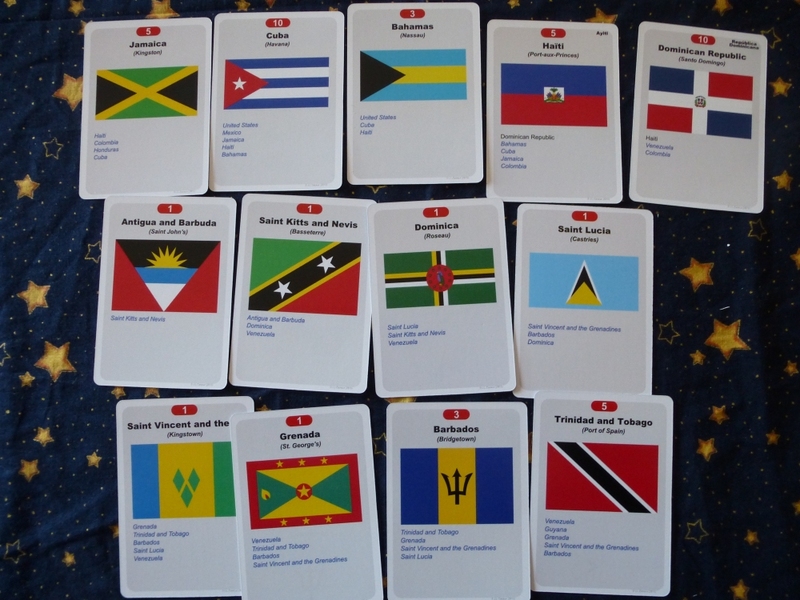 ONE WORLD is a card game playable from 2 to many players. 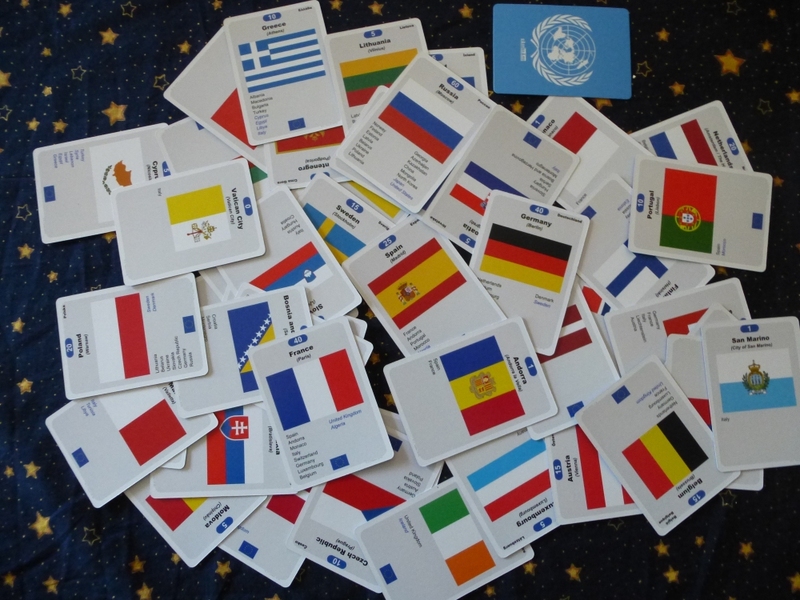 The large number of cards allows “many” to really mean many: 6, 8 or even more. 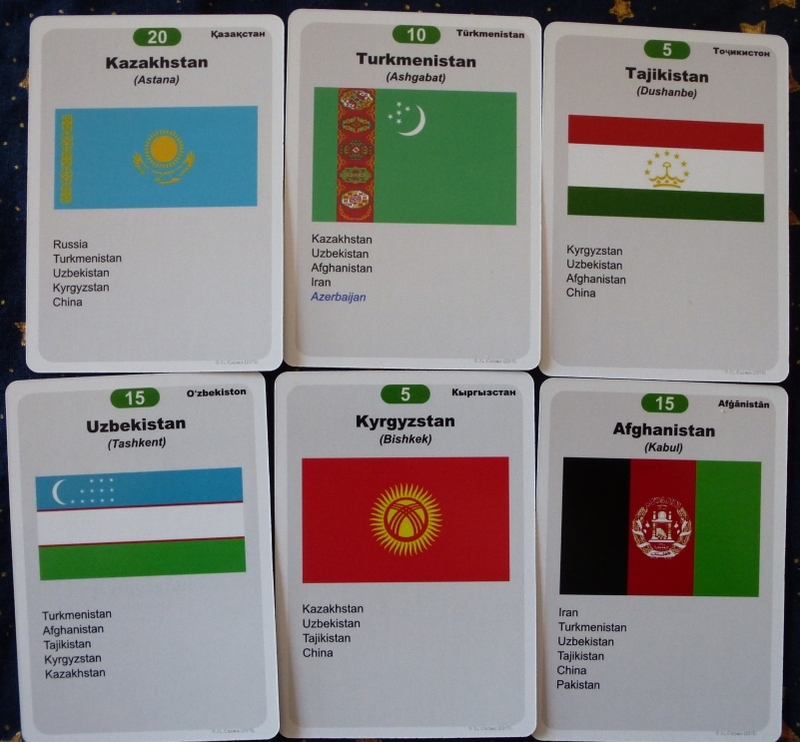 Solitary game is also possible. 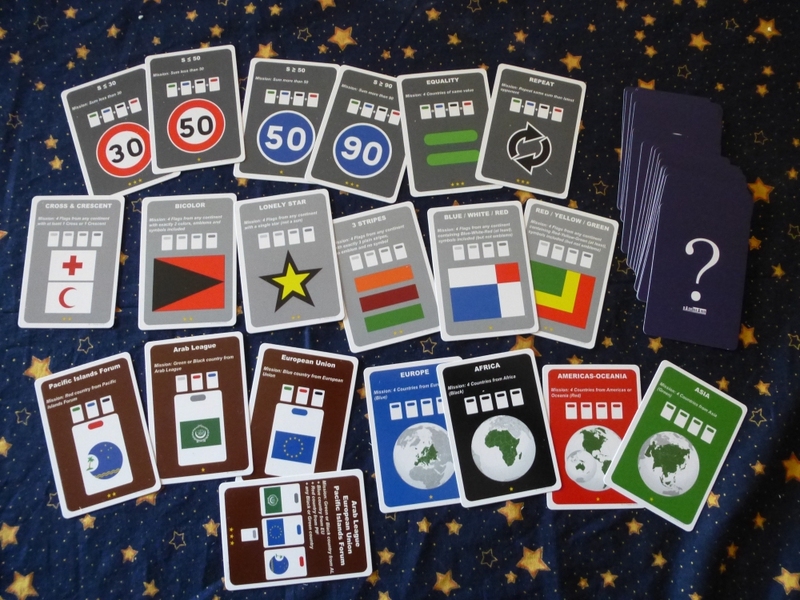 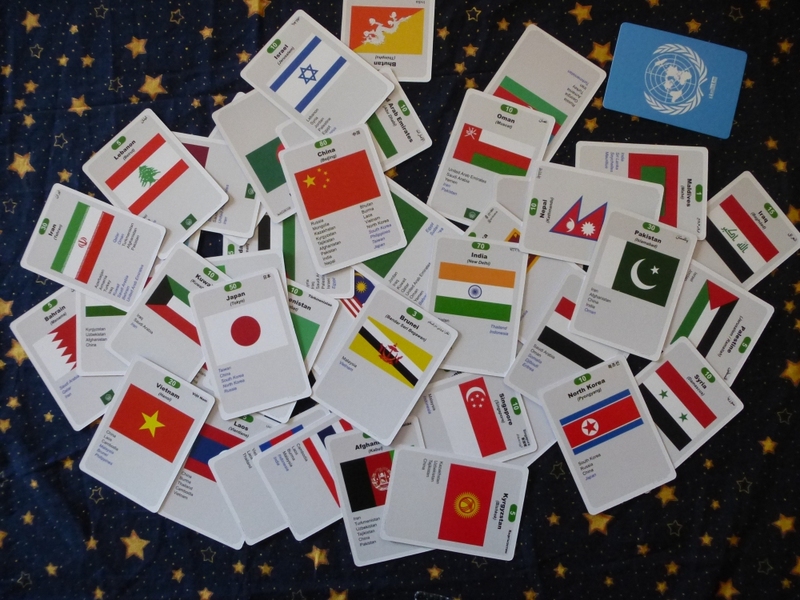 ONE WORLD is played with a MASSIVE set of 199 country cards and 20 mission cards. 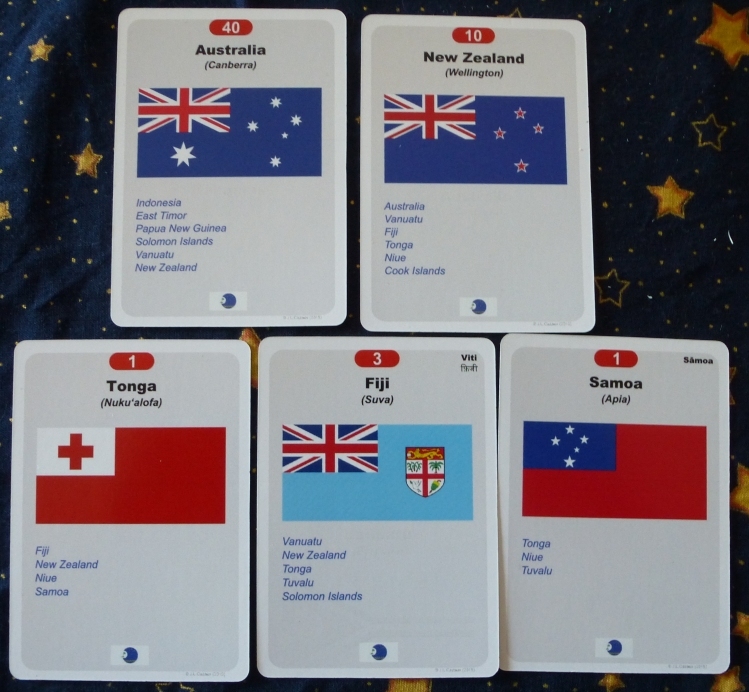 The cards represent ALL countries of the world, with their flag, their capital, their name in their official languages, and the list of all their neighbors. 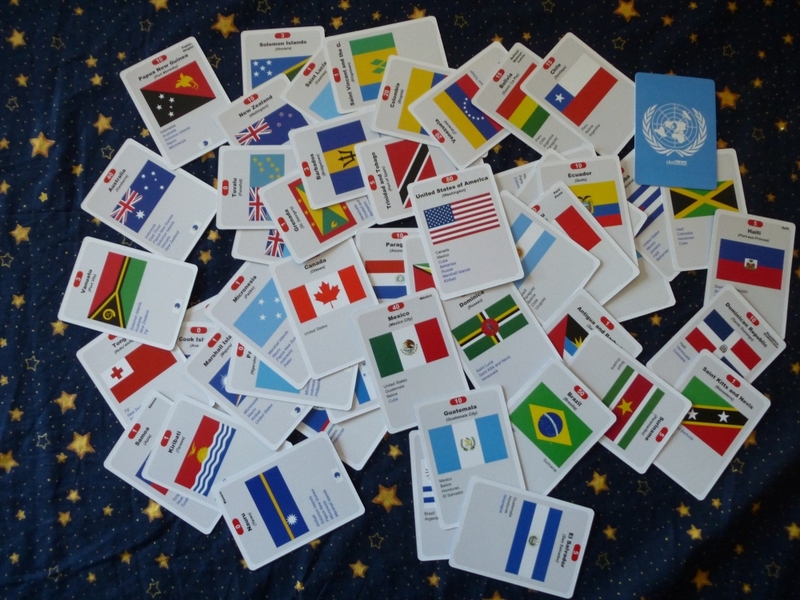 This huge deck has a card for every independent state in the world. 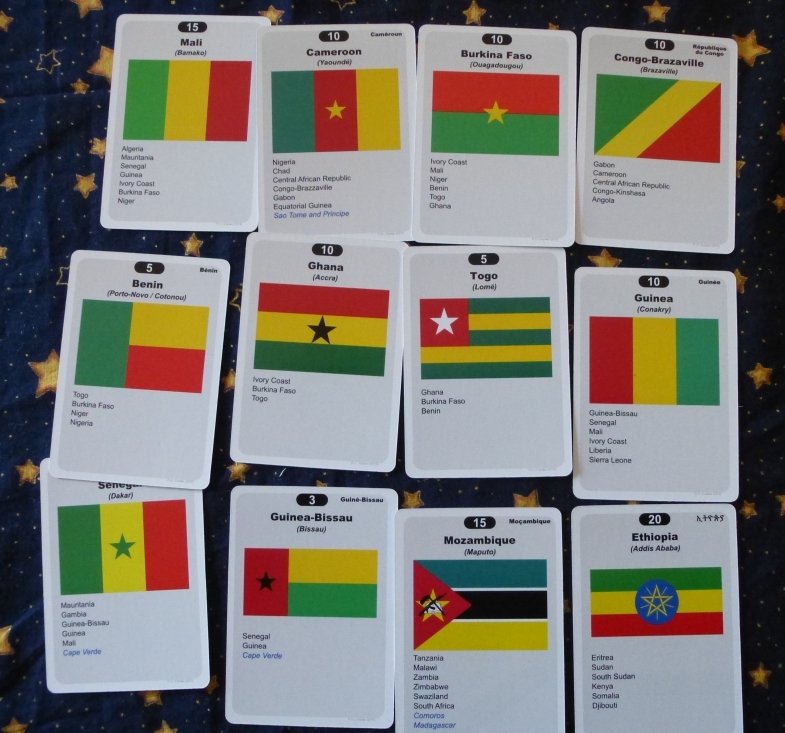 The perfect tool to recognize and remember every flag, every capital. 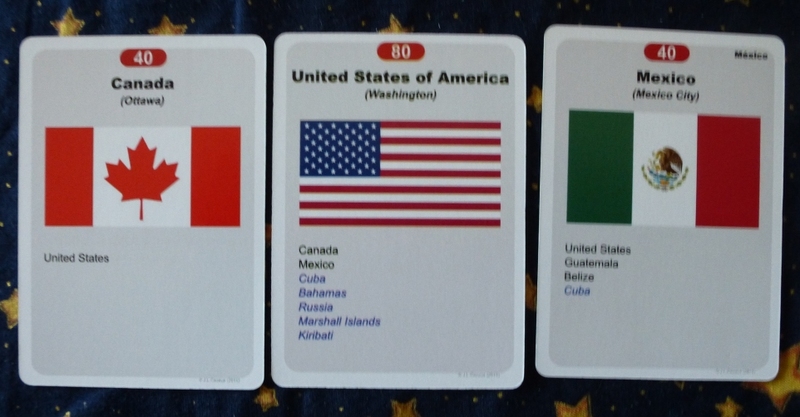 Be unbeatable. 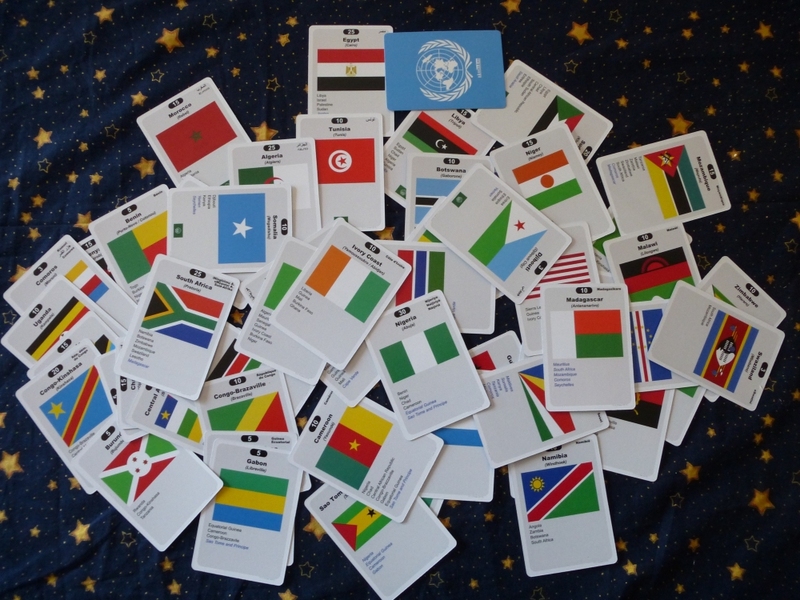 With ONE WORLD be a master of geography.